Name: Pack of 16 is currently out of stock! 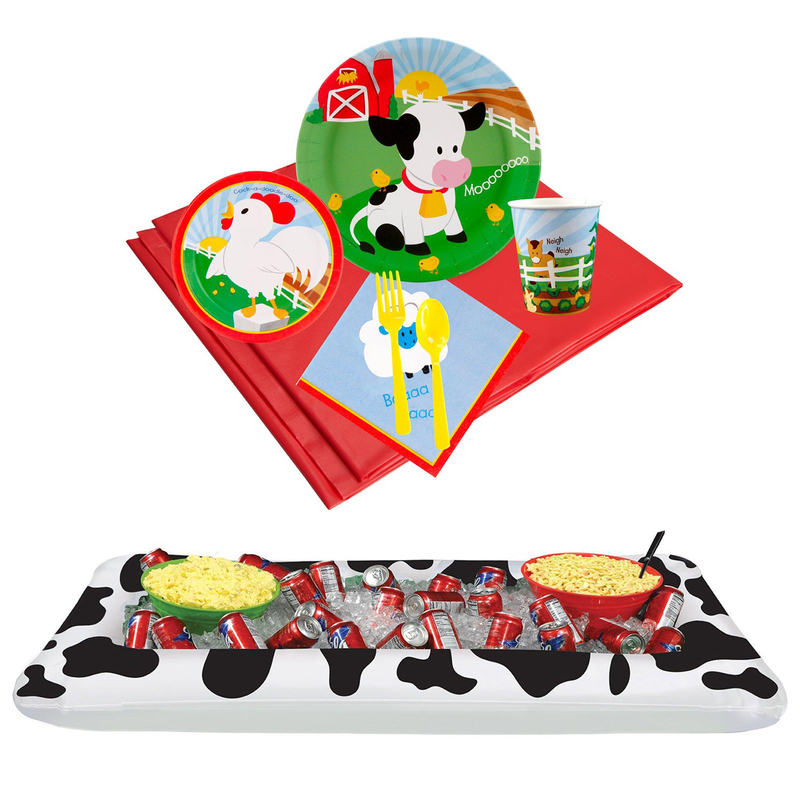 Includes: (16) Make shopping for your child’s party simple and easy with everything you need in one convenient package! 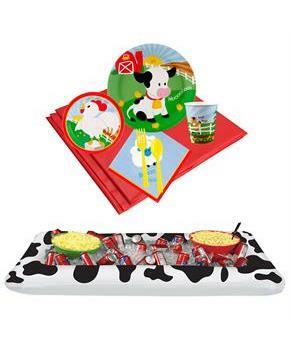 Barnyard Tableware & Cooler Kit (16) includes the following: (16) Dinner Plates, (16) Dessert Plates, (16) 9 oz. Cups, (16) Lunch Napkins, (1) Tablecover, (16) Forks & Spoons and (1) Inflatable Buffet Cooler. Bandana Pennant Banner 11" x 12"